Listed below are some of our giving campaigns. We invite your kind consideration of a gift to help us support and expand these vital programs. WMC’s Caregiver Center is dedicated to the support and well-being of all caregivers on our campuses. 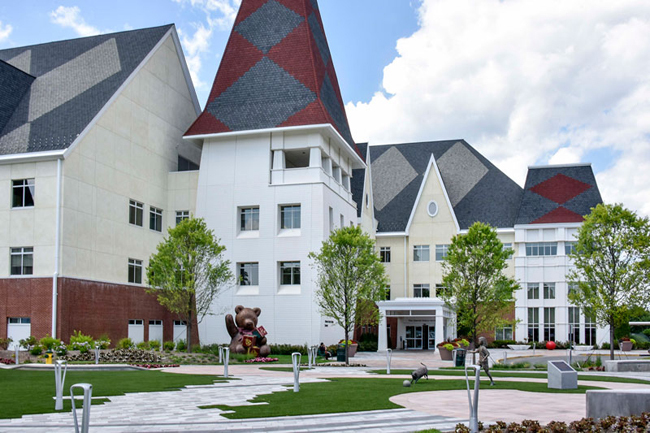 Our suite of programs and onsite facility in Valhalla are designed to provide assistance during the demanding and stressful times of providing care for loved ones who are hospitalized in the main hospital or Maria Fareri Children’s Hospital. We treat the sickest of the sick. Approximately half of WMC’s patients did not plan to spend time in the hospital as they were admitted through the Emergency Department. Particularly in this demanding environment, caregivers are often unprepared to cope and can benefit greatly from support and resources. For many, a medical crisis is also a spiritual crisis. WMC’s Chaplaincy Program offers spiritual and emotional support to patients, their families, and our staff. Our Chaplains represent all major faith groups and are professionally trained to serve as resources for people in need during times of change and crisis. When patients and families are faced with spiritual, emotional and ethical decisions, our expertise and support can help. Provide a center-based experience for prospective cochlear implant recipients to be assessed and implanted patients to receive comprehensive and coordinated audiology and speech therapy services following their implant, the only such center providing care for pediatric and adult cochlear implant patients between New York City and Albany. 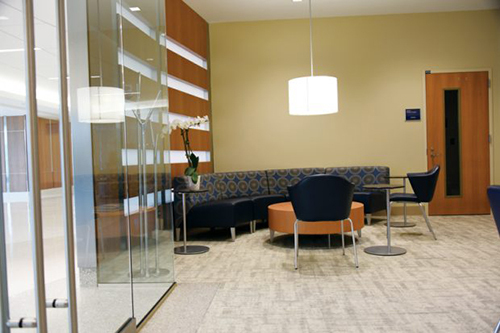 Meld with the hospital’s mission to provide advanced clinical services to the greater Hudson Valley population and add to the cadre of sub-specialty services currently provided by the hospital. Expand on current audiology/speech pathology services already in place at Westchester Medical Center, Maria Fareri Children’s Hospital, MidHudson Regional Hospital and other network partner. Based on a conservative estimate of 1% of individuals with severe-profound hearing loss receiving implants, the potential cochlear implant population in Westchester and surrounding counties is almost 20,000. This vital department advocates, responds, and focuses on supportive services that address the emotional and psychological needs of the individual patient and their family. The dedicated Child Life staff works to foster understanding, coping, mastery and empowerment by using creative self-expressive mediums and developmentally supportive therapeutic play opportunities to reduce the stress and anxiety related to illness, injury and hospitalization. All team members hold either Bachelor's or Master's degrees in the areas of child life, child development, music therapy or art therapy. In addition, each team member maintains professional certification in their respective field. A child’s hospitalization is a scary, stressful time. The Family Resource Center at Maria Fareri Children’s Hospital assists families of hospitalized children with supportive services tailored to meet individual families’ needs. Offering families a comforting place to decompress, borrow books for their child, or use computers, the Family Resource Center is also a hub to gather information, access bi-lingual library services, and take care of everyday needs, like having laundry done by volunteers who are also willing to lend a supportive ear. Each year the Isaac and Naomi Kaplan Family Regional NICU admits more than 700 critically ill newborns, many born far before maturity (some as early as 22 weeks old) and at dangerously low birth weights (less than 2.2 lbs.). In addition to serving a catchment area of approximately 23,000 annual births, all six Level II and three Level III NICU programs in our region refer their patients to Maria Fareri Children’s Hospital when Level IV care is required. Under the direction of Dr. Edmund F. La Gamma, the NICU staff works with parents round-the-clock to provide constant monitoring and nurturing of these tiny babies and teaching parents how to care for these tender infants. The unit currently operates at or above capacity with an average daily census of 51 neonates, each staying for an average of 30 days. A much-needed expansion is set to begin in 2017. While the construction plans call for the addition of just eight beds for extremely pre-mature infants, in reality (because of chronic need) the expansion will support double or more than that number. Susan Malfa, Nurse Manager of the NICU says: “we never say ‘no’ to any baby that needs our care and each day find ourselves moving infants and incubators around to best accommodate each case. Something fabulous is growing. We call it Maria’s Garden. A new respite area for patients, visitors and staff located outside the main entrance of Maria Fareri Children’s Hospital. 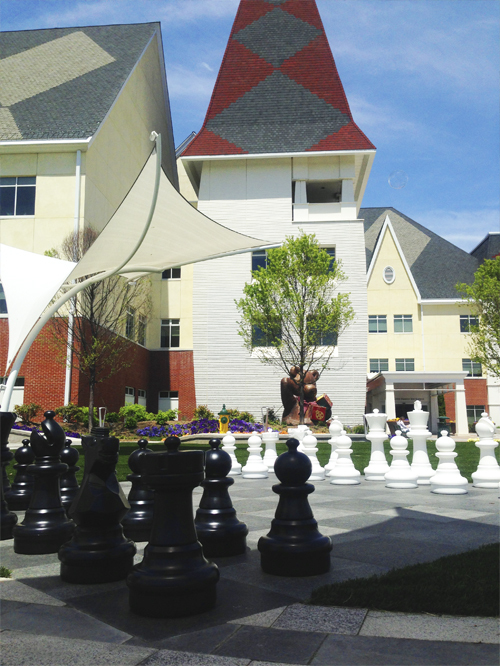 Just steps away from the hospital’s front doors, the 20,000-square-foot garden includes walkways, shaded seating areas, colorful flowers and shrubs, and family-friendly interest points, such as a lifesize chess and checkerboard, a giant teddy bear and a 6-foot-tall dog crafted by world-renowned sculpture artist Yoshitomo Nara. Maria’s Garden fulfills the vision of Brenda and John Fareri, the hospital’s founding benefactors, and was made possible through the generosity of the Fareris, radio station 100.7 WHUD and the Morrell family. The hospital and garden are named in memory of the late Maria Fareri, Brenda and John’s youngest daughter. 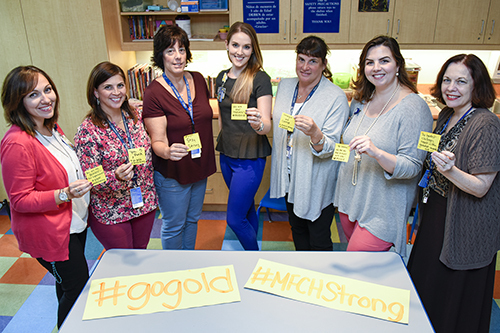 Since the early 1980’s MidHudson Regional Early Education Centers have provided day care, special needs preschool services, early intervention services and therapies to over 500 children. Much of the playground equipment dates back to our beginnings and is in need of being replaced. Your donation to the Playing With Purpose Fund will support a more dynamic, entertaining and stimulating experience for our students – your children– by helping to rebuild our playgrounds at our three early education centers in Hyde Park and Poughkeepsie. 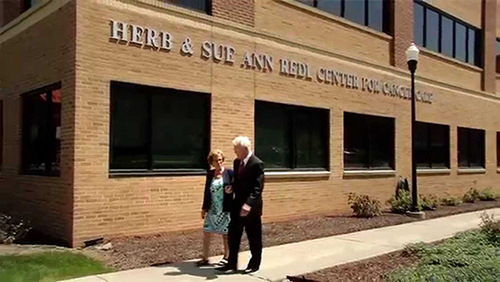 Certified by the American College of Radiology and the Mammography Quality Standards Act, the Herb and Sue Ann Redl Center for Cancer Care and the Women’s Imaging Center MidHudson Regional Hospital offers specialized services beyond 3D mammography including high-definition breast ultrasound, dedicated breast MRI, advanced stereotactic breast biopsy, bone density scans, and more in an environment conducive to healing.